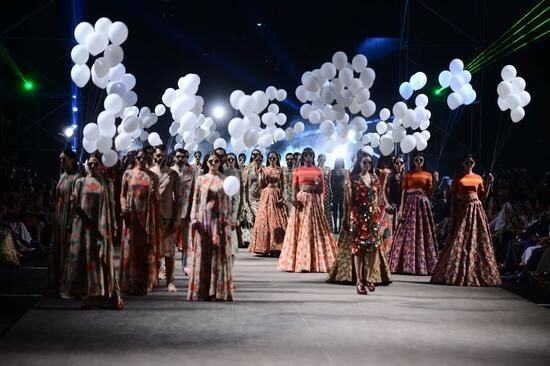 The LFW 2015 began with the mightiest bang at the Richardson and Cruddas Mills, the beautifully rustic grounds nestling in the heart of Mumbai. The grandeur of the ambience was perfectly complimented by the dramatic setting – a 200×20 feet ramp brought into focus with multi-laser lights and fully-filled seating. 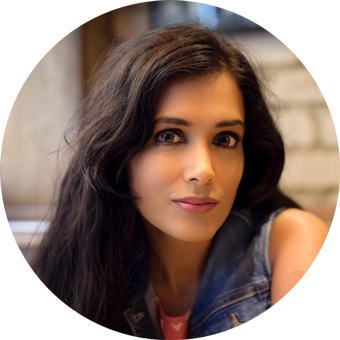 While this is where most of the succeeding events are also scheduled to be held, some offsite shows, including the collection by Manish Malhotra and Anamika Khanna, are to be witnessed at other glamorous locales. 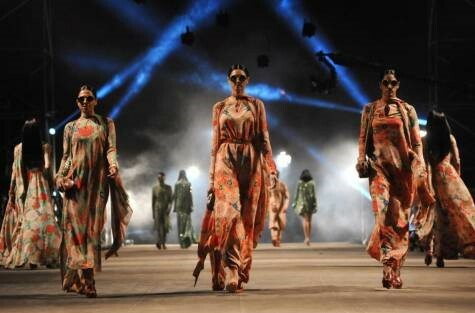 Who better to kick-start this fashion mega-event than the celebrated Bengali designer Sabyasachi? As all eyes were centred on the ramp, his new collection “Big Love”, left the audiences mesmerized. It was everything one wanted and more. Strongly inspired by the 70s Indian fashion, the garments represented a fusion of regal colours, bold designs and combination styling (with east-meets-west flavours thrown into the mix). The 105 outfits, modelled by no less than 62 stunning divas and hunks, garnered brilliant reviews from the high and mighty of the glamour industry. What a glorious beginning to the Lakme Fashion Week 2015! As with any such event, there were a number of Bollywood A-listers and Page-3 personnel who graced the occasion with their presence. Several actresses donned Sabyasachi outfits to cheer on their beloved designer. 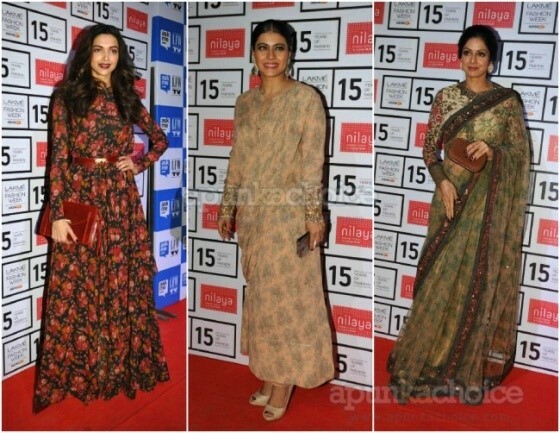 While Deepika Padukone, Kalki Koechlin and Divya Khosla Kumar wore lovely maxis, Kajol, Sridevi and Rani Mukherjee went in for traditional Indian wear with exquisite saris. The night glittered with Sabyasachi magic both on and off the ramp.